QTY 12345678910111213141516171819202122232425262728293031323334353637383940414243444546 Please select a quantity. A beautifully constructed product that will bring an amazing look in your living area or entryway. 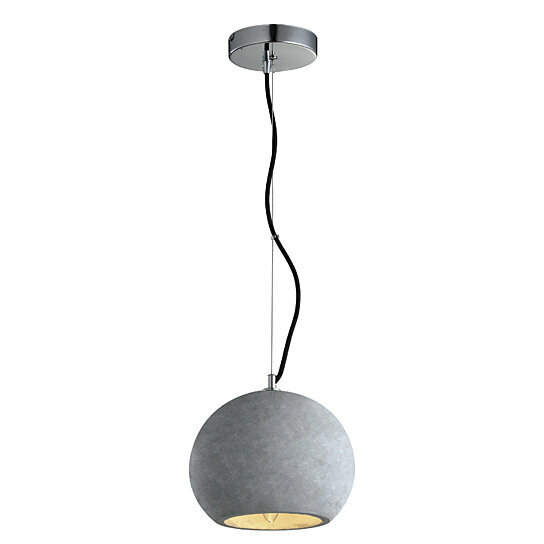 This pendant light comes with a concrete made spherical shaped shade attached to a metal holder. It can be hanged easily from the ceiling in the entryway or in the living area for better usage. The product uses one 40 watt incandescing bulb to provide proper light. This lamp has an unique look that will add creativity to any space.